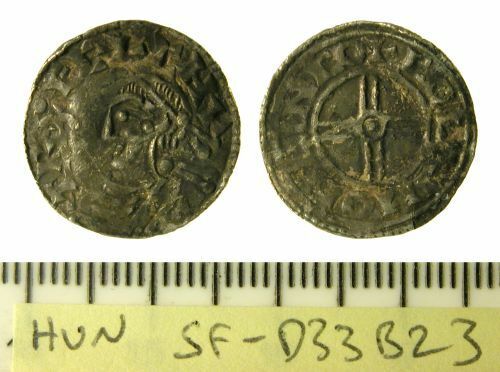 A silver penny of Cnut, short cross type, c.1030-1036 AD. As North, 1980, p. 129, no. 790. A silver penny of Cnut, short cross type, AD 1030-1035/6(North, 129, no 790). A cut quarter of Cnut, short cross type, 1030-1035/6 (North 1980, 129, 790).